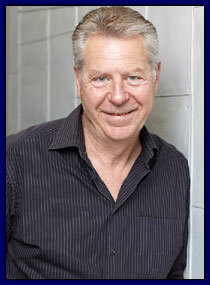 Roger began his professional career with a television commercial and a few minor parts over 25 years ago. Since then, he has amassed an impressive list of guest appearances in both film and television and is fast approaching 100 television commercials! 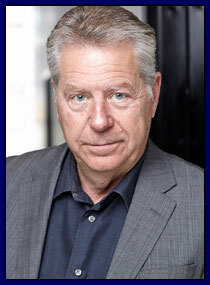 Roger has played principal roles in such films as Friday the 13th Part VIII, Mood Indigo, Panic in the Skies, I Still Dream of Jeanie, Bridal Fever, Road Rage, Deadlock II and Firefight. He has also made guest appearances on such television series as Sue Thomas FBEye, Da Vinci's Inquest, Mysterious Ways, The Sentinal, Viper, Poltergeist, Outer Limits, Odyssey 5, 21 Jump Street, and MacGyver to mention a few. Roger had a recurring role playing the comical, way-over-the-top News Reporter, Chuck Arblaugh in the popular kid's series Monster Warriors seen throughout the world. "I've been fortunate to work with some very talented people" said Roger. Roger has appeared on stage many times. He had his Directing debut, to rave reviews, of Lettice and Lovage for the Driftwood Players while also playing the lawyer in act three. He also appeared as a French Canadian Senator in the debut production of A Celibate Season in Vancouver. Roger gave his first one-man performance with a dramatic reading of The Gospel according to St. Mark in Vancouver. "I was pretty flattered when asked, and a bit nervous, but the material is pretty strong!" Barnes commented with a smile. Roger was asked to share some of his knowledge, especially in commercials, and taught Acting for Film and Television workshops for four years while in Vancouver. Roger mentioned "I had some very talented students who have gone on to rewarding careers." At 18, Roger obtained his Pilot's License. At 21, he received his Auto Racing License and subsequently, was fortunate enough to receive stunt driving training from some great industry pros. Both have proved useful over the years and Roger continues to do much of his own stunt driving. Currently based in Toronto, Roger’s dual Canadian and British citizenship should be helpful as he begins to explore work opportunities in Britain and Europe. "I have worked throughout North America and would really love to expand to England and Europe. I think it would be a wonderful experience" Barnes noted. Roger lives with his wife of 27 years, their three daughters and their numerous pets. He is also known to be a fabulous cook!